Institute for Laser and Plasma Technologies MEPhI opens its doors for students! 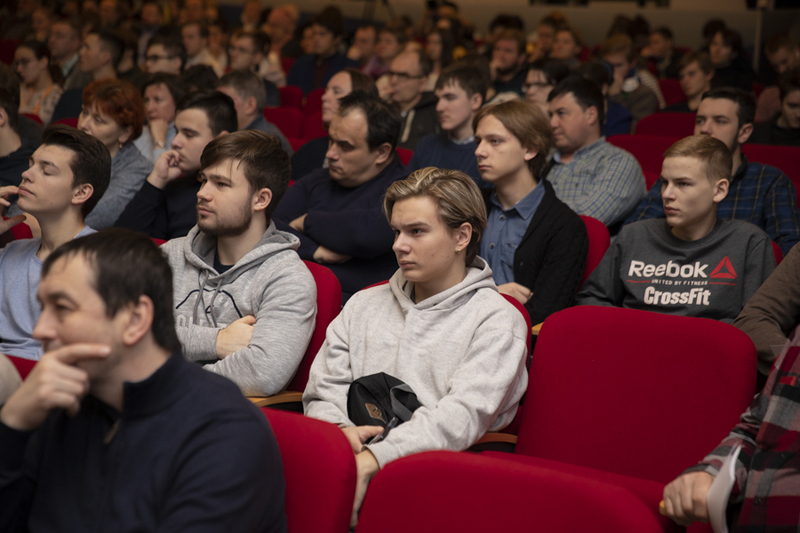 In the first month of the New Year, MEPhI starts a series of Open Days – presentation events aimed at familiarizing students with the scientific and educational potential of the University. 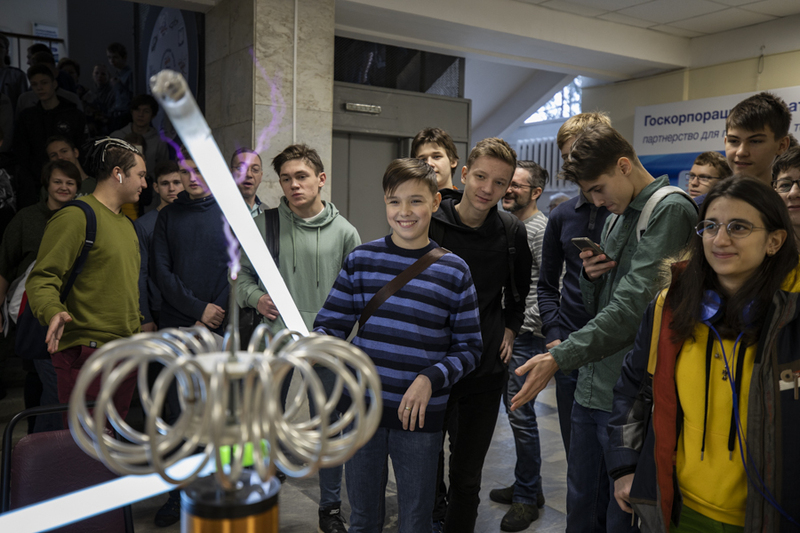 On January 20, the Open Day was held by the Institute for Laser and Plasma Technologies MEPhI (LAPLAS). 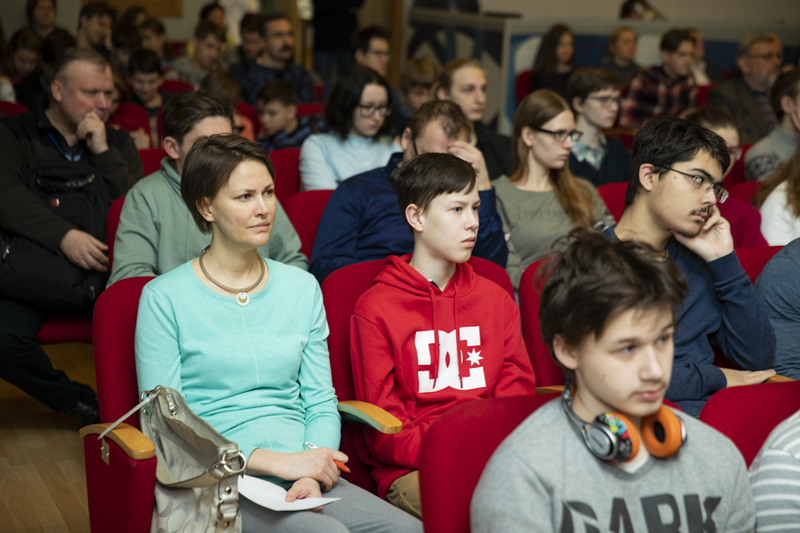 The guests of the University were told how and where the scientists of the University work, visited the laboratories and received answered to all the questions. In total, the Open Day was attended by more than 500 people. Familiarity with the LAPLAS Institute began with a welcome speech of the Institute Director A.P. Kuznetsov. 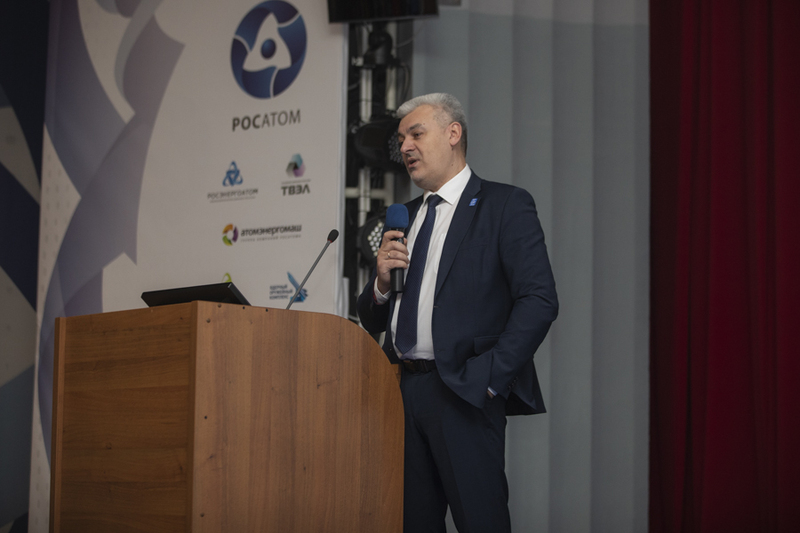 He noted that LAPLAS set ambitious goals - to become a global research platform in the field of laser, plasma and radiation technologies. 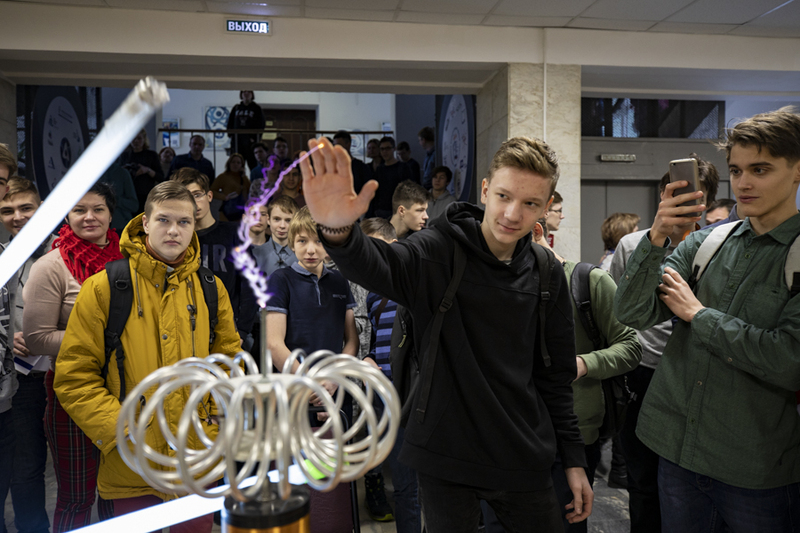 Students are trained in high-level educational programs in such areas as applied mathematics and physics, photonics and optoinformatics, laser technique and laser technology, plasma physics and high-tech plasma and power plants, etc. 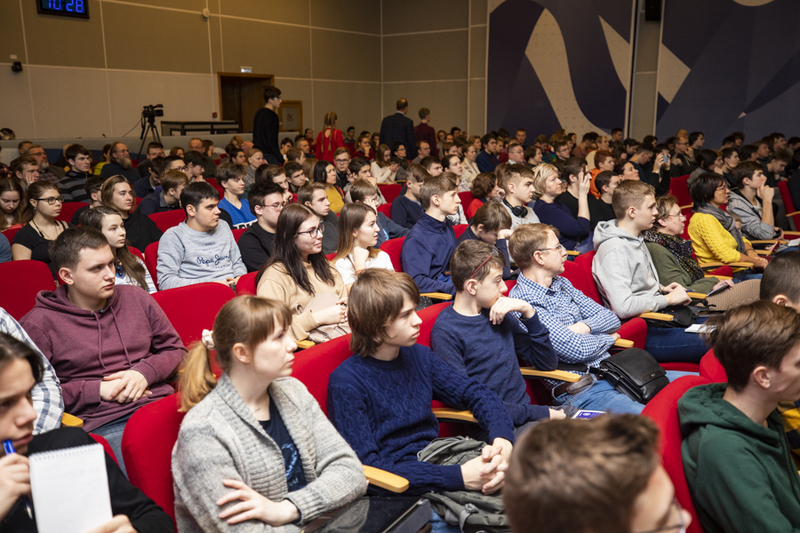 Starting with the first year students are involved in research projects, undergo regular training in Russian and foreign scientific and educational centers. 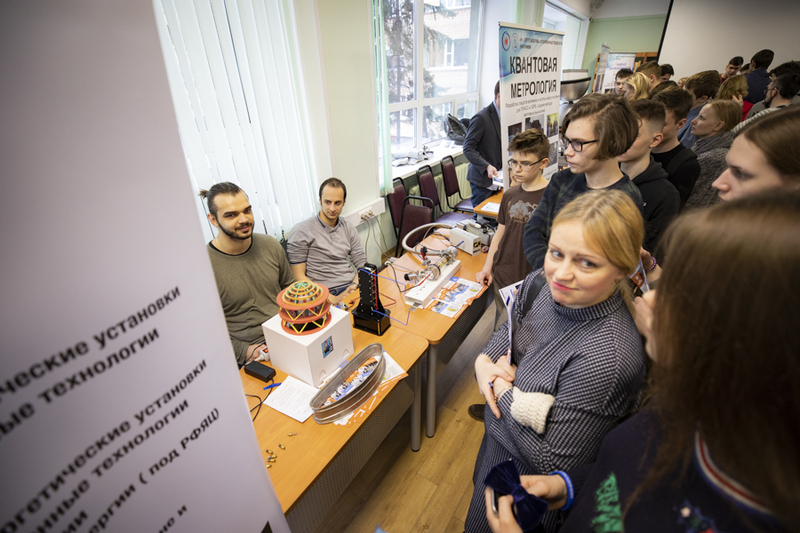 For example, a post-graduate student of the Plasma Physics Department at the LAPLAS Institute Igor Egorov, collaborating with the company "SuperOx", launched the first magnetoplasmodynamic engine with a magnetic system based on high temperature superconductor. After graduation, you can stay in postgraduate school of MEPhI or apply to a prestigious foreign University, to do applied science or engineering calculations and modeling. "There is strong interaction between science and engineering in MEPhI. This is what differs us from other universities,” said Andrey Kuznetsov. The Executive Secretary of the Admission Office I.V. 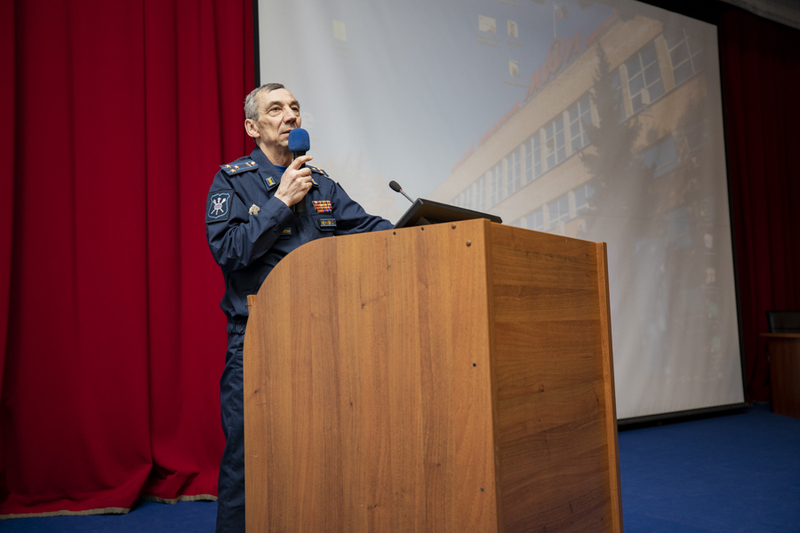 Tsvetkov acquainted applicants with the admission rules for 2019. He highlighted such important topics as the minimum exam scores, admission control figures, entrance exams, features of receiving benefits, the main stages of the admission campaign. 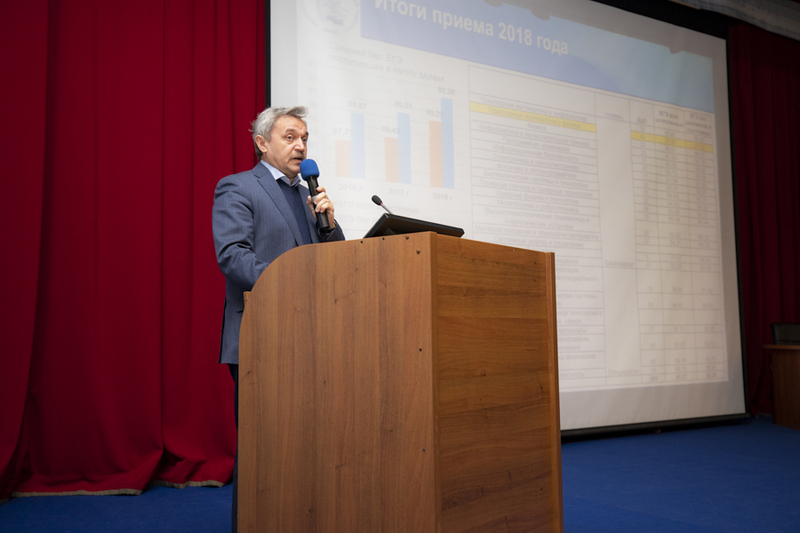 Igor Vladimirovich noted that the interest in engineering specialities had increased significantly. For example, for the first time, the average score of students enrolled in engineering at the LAPLAS Institute, was equal to the average score of students enrolled in information areas at the Institute of Cyber Intelligence Systems, and the areas of training "Applied mathematics and physics" is an absolute record holder both in the competition enrolment (21.4) and in the average score of United State Exam (97,4). All detailed information about the admission is available on the official website of the MEPhI Admission Office (in Russian). 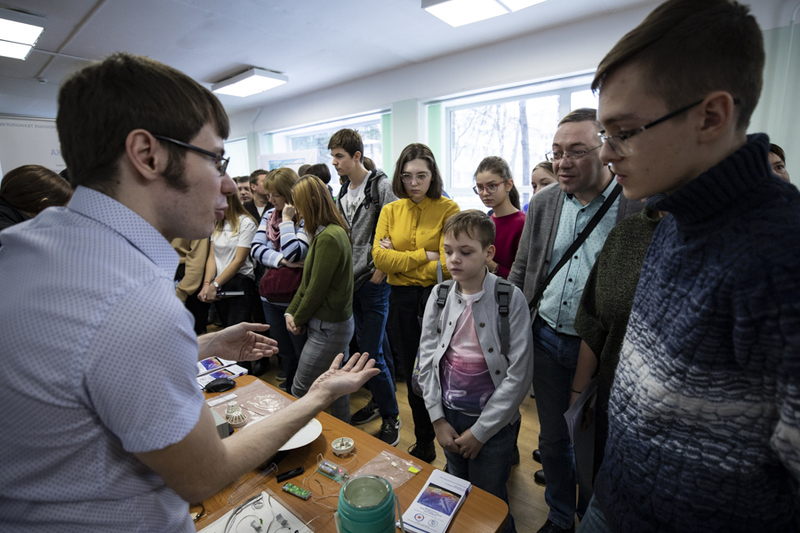 During the Open Day, schoolchildren were able to communicate with representatives of all departments that are included in the Institute – nine departments of the Moscow site and two departments of OINPE, Obninsk. Also a member of the jury of the all-Russian Olympiad in physics S.E. 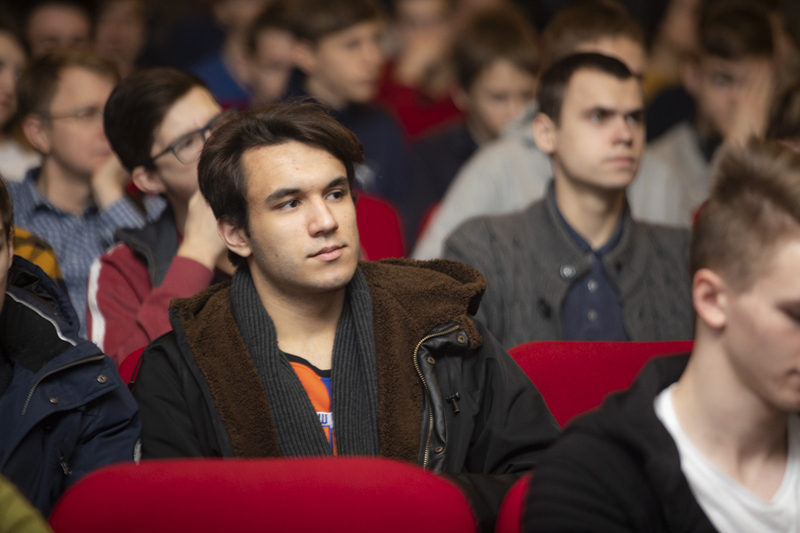 Muravyev held a master class "Pre-professional exam: What? Where? When?". 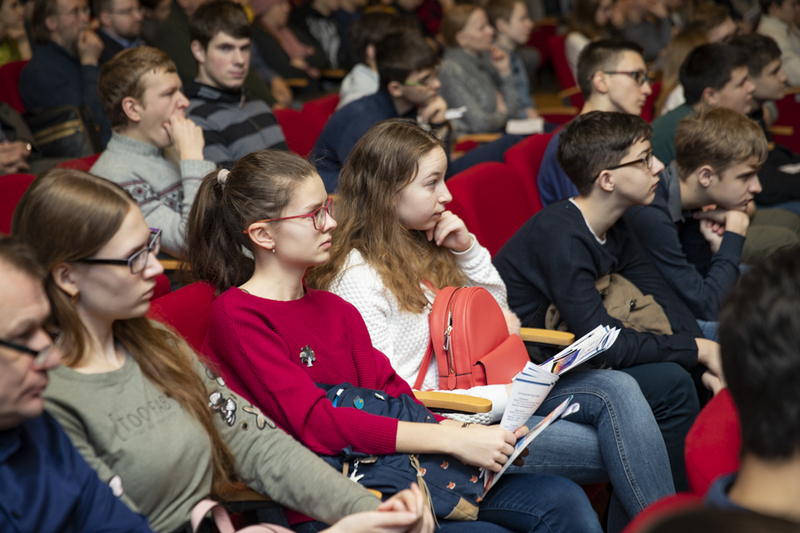 After the official part of the event, excursions to the scientific and educational units of LAPLAS Institute were organized for schoolchildren and their parents. The future applicantsvisited unique scientific laboratories – Laser Center, which has no analogues in any Russian University, as well as the Center of plasma technologies. 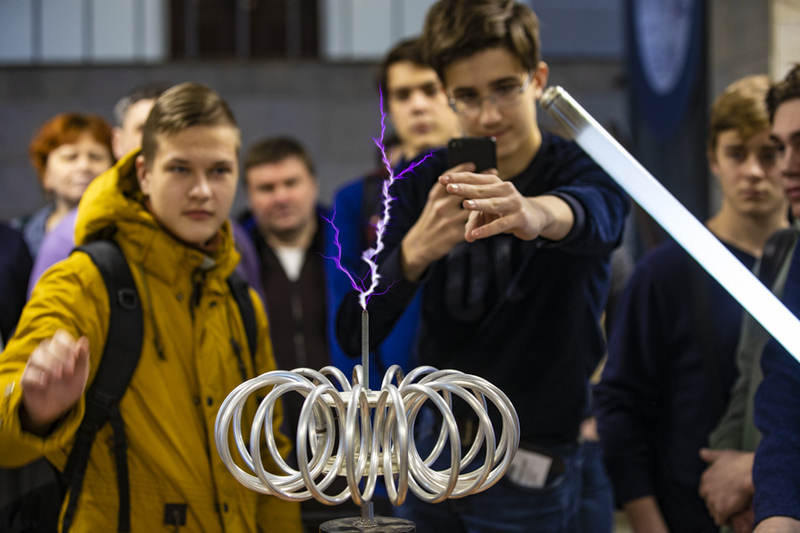 The Experimentarium – here guests of the Open Day saw an ion trap, a Tesla coil, levitating the transport of the future, digital holography, a model of a laser thermonuclear reactor, an accelerating resonator, a nuclear battery as well as a virtual tour of the world's largest research physical facilities. All these aroused great interest among schoolchildren. Denis Krupin, grade 11: "I consider MEPhI as an option for admission. I learned that the University is quite popular, takes a good place in the rankings. I was interested in scientific research, which is conducted at the departments. And there are many sports clubs in MEPhI. I am interested in lasers, because it is promising, a lot of money is invested in this area, people can treat diseases with the help of a laser, and it's cool, this is the future." Danila Lesnykh, grade 11: "I know that the University cooperates with large companies, including the State Corporation Rosatom. I would like to work there, but first to enter MEPhI." 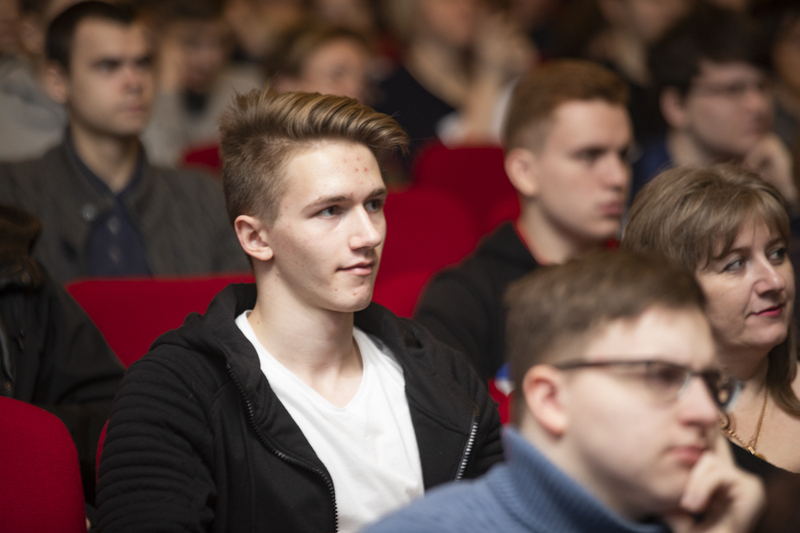 Innokentiy Brusov, 10th grade: "I am studying at the correspondence school of MEPhI, decided to learn more about the University and came today for the Open Day. I had thought that we would have left after the speeches of the representatives of LAPLAS Institute. But there were many interesting exhibitions, workshops and excursions. I liked it very much". The next Open Day will be held on January 27. Students are invited to the Institute of Nuclear Physics and Engineering (INPhE) MEPhI.